Peppers are another staple in the garden. Stuffed, sliced for salad, chunked for dip (cut them into big pieces like those popular corn chips), sauteed for spaghetti sauce, pizza topping – the pepper is a go-to from the garden. 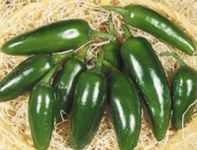 Bell, commonly known as “green peppers” are the most often grown peppers in the family garden.Bells are also know as sweet peppers. Bell peppers usually start as green and change color when they ripen. They’re edible when they’re green, and probably most are eaten then, but they develop better flavor and increased nutrition when ripe. Hot peppers vary in heat that’s measured on the Scoville heat scale. Sweet, banana and Pimiento are a 0. Orange Habanero, Scotch Bonnet is a whopping 150-325k. The world’s hottest pepper is the Carolina Reaper at 1,569,300k. Seeds are started indoors in cool climates. The seeds are slow to germinate unless the soil is very warm, a minimum of 68*. Optimum soil temperature for germination is 80*. A heat mat beneath the seed starting tray will help a lot. Maximum temperature for germination is 95*. At 68* soil temperature the seeds will germinate in about 13 days; at 77* to 80* expect approximately eight days. At 77* to 80* you should expect 98% germination. Be sure to keep the soil moist but not soaked. Harden off the seedlings before transplanting. I prefer to transplant six week old seedlings. Choose seedlings that have not become root bound and do not have blossoms. If you have no choice, pull off the blossoms to force the plants’ growth into the rest of the plant. Amend the soil before transplanting. Add compost and any other amendments your soil needs. If you’ve done a soil test and it shows the soil is low in magnesium now is the time to add it. Peppers require more magnesium than most garden plants. Hot and sweet peppers are grown the same way. Peppers appreciate a little crowding. I plant mine only 18-24 inches apart. 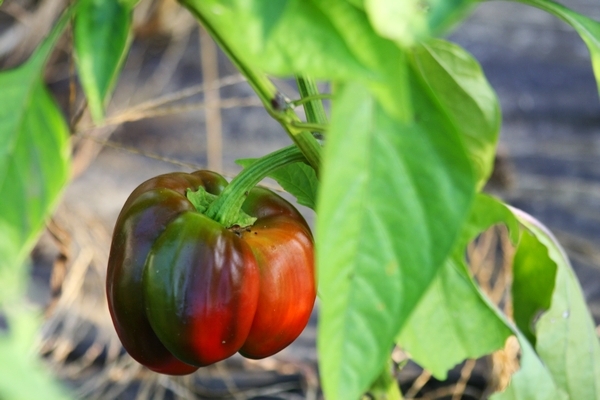 Have you seen a tip suggesting you spray your pepper plants with Epsom salt? It does help if your plants are pale green or yellowish and lacking blossoms! Mix one teaspoon of Epsom salt with one quart of warm water. Mix until the salt completely dissolves and allow time for the water to cool to room temperature. Mist the plants with the water and stand back to watch. Within a few days you’ll see the leaves darken to a nice shade of green and blossoms should start to form. Some varieties of peppers can grow to four feet tall. If necessary, you can stake pepper plants to keep them from falling over. You can also cage them to keep branches heavy with peppers from snapping. If you give them too much nitrogen the plants will become tall and thin and won’t produce well. Although peppers don’t like cold soil when it’s time to germinate they are a little hardier than expected in the fall. Protect the plants from early frost. Also see Tomatoes and Cucumbers. This entry was posted in Gardening and tagged Gardening on February 2, 2015 by Homesteader's Supply.